Although industry standards were designed to make business communications simpler, the specific and complex nature of the standards themselves can seem intimidating. Industry standards allow any business to transfer structured information from one computer system to another, often in different companies, with little or no manual intervention. Although industry standards are designed to enable communications that are quick and clear, understanding the standards themselves can be anything but. 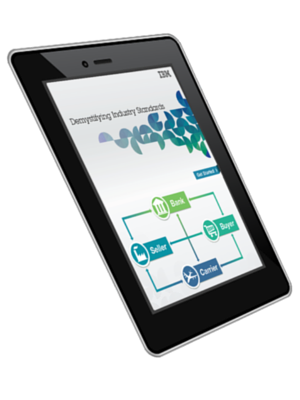 Please complete the brief form on this page to receive the complimentary eBook from IBM.